Let Lyndhurst Landscapes get your garden ready for summer. We provide an extensive range of gardening services from small to large scale. For a free, competitive, no obligation quote, give us a call today. At Lyndhurst Landscapes, we have a a proven track record of innovative landscape gardening designs and high quality work. We pride ourselves on providing a professional, friendly, high quality and competitive service across the North East of England. We undertake projects from large, formal and commercial landscape gardening schemes to small, private garden maintenance. All are carried out to the highest standards. Absolutely delighted with my new garden and patio. The work is brilliant and everything was done as I asked. Everything cleaned up and price was excellent. I would definitely recommend this company if you are looking for a professional job. I have already booked them again! Thank you so much! Love our garden. Fantastic reliable service. Would definitely recommend Lyndhurst Landscapes. Will be using them again in the future when we get the front garden done. Can’t wait for some good weather now. Steven did an amazing job of clearing my (very scruffy) garden! It now looks fabulous. Highly professional job, very easy to deal with, and I would recommend him to anyone. Looking forward to him doing more! From our first visit and free quote to the completion of your project – no matter how small or large – we will consult with you at every stage. We employ a team of experienced, qualified, highly motivated and dedicated staff who take pride in their work and in providing the best possible landscape gardening services to our customers. 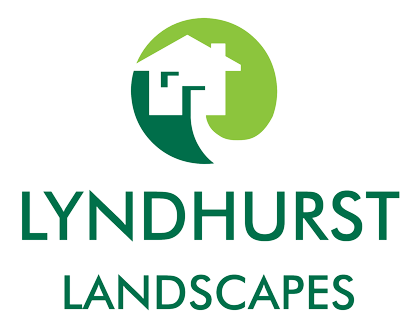 You can contact Lyndhurst Landscapes in a number of ways. Give us a bell on 01325 314075 and our friendly staff will be able to answer your queries or take some details if you are looking for a free quote. The contact form can be used any time to send us your query, including out of hours. We will reply as soon as we pick up your message and arrange to visit you. We aim to reply to all online enquiries within 48 hours. So, don’t delay, contact us today and we could soon be transforming your vision from a dream into reality!